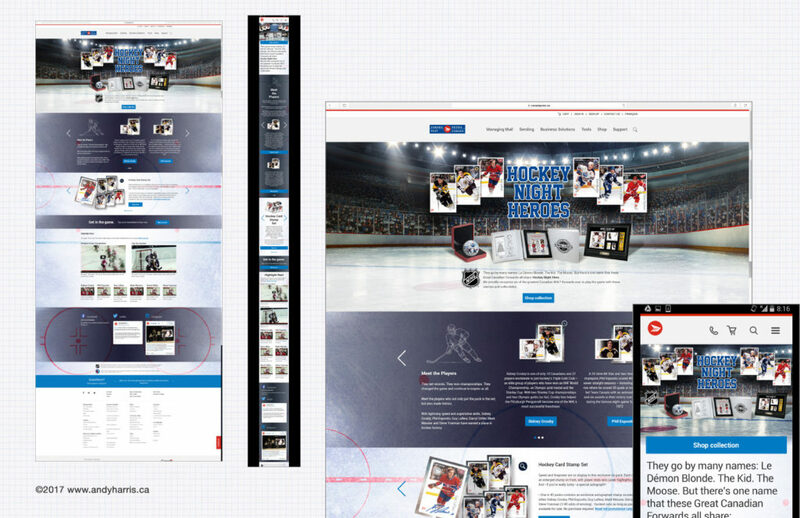 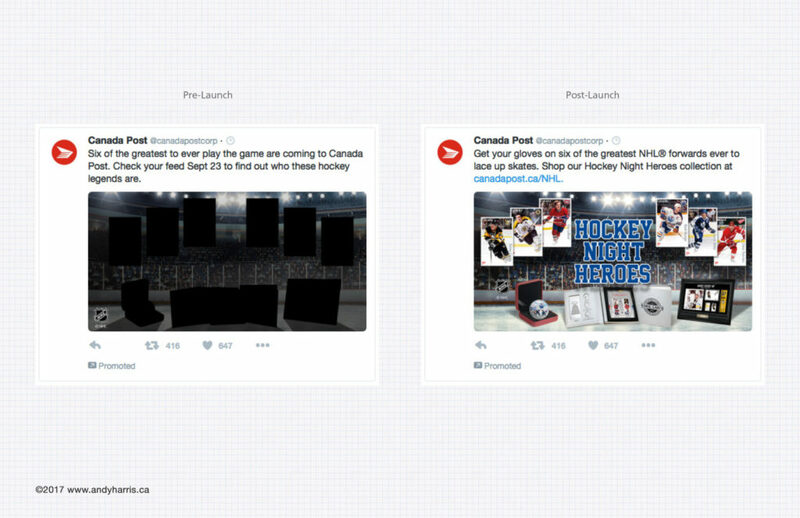 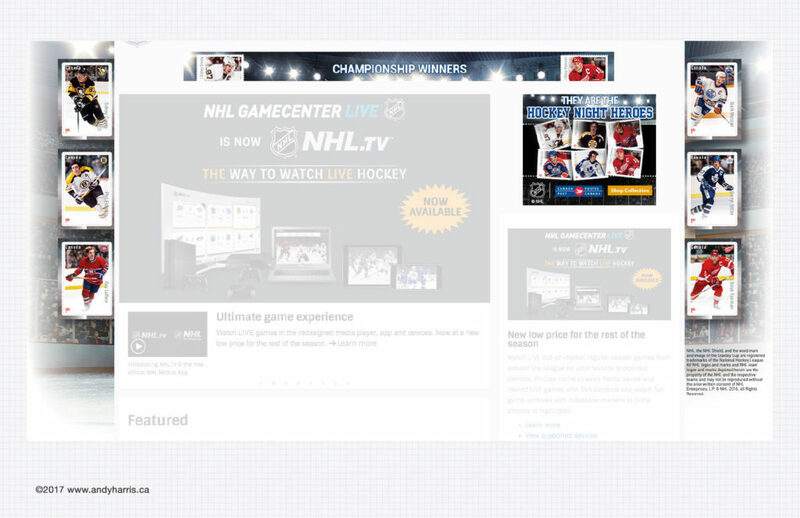 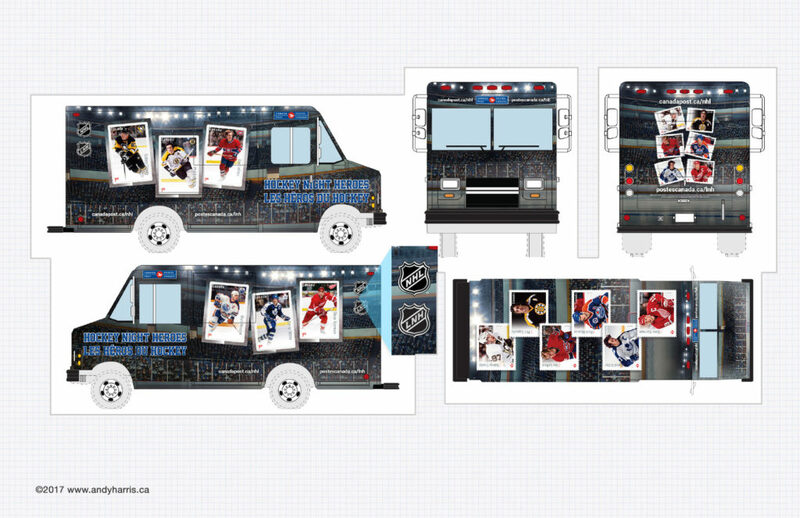 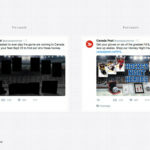 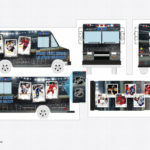 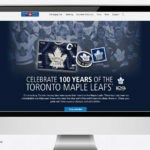 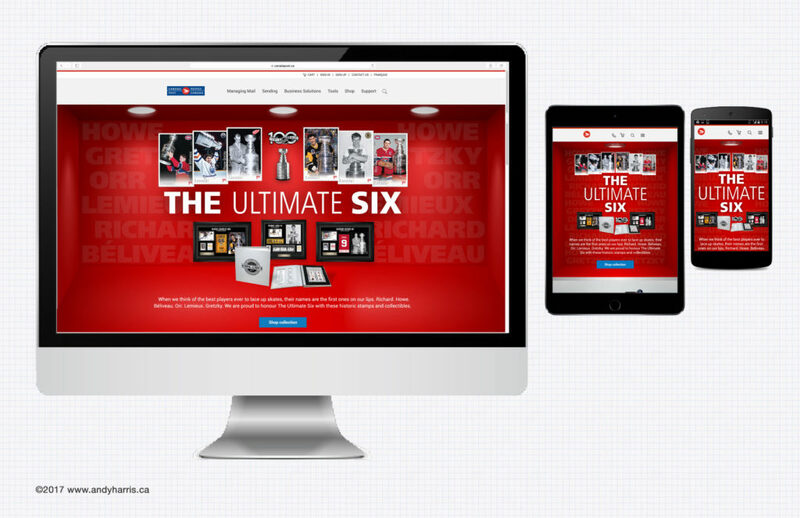 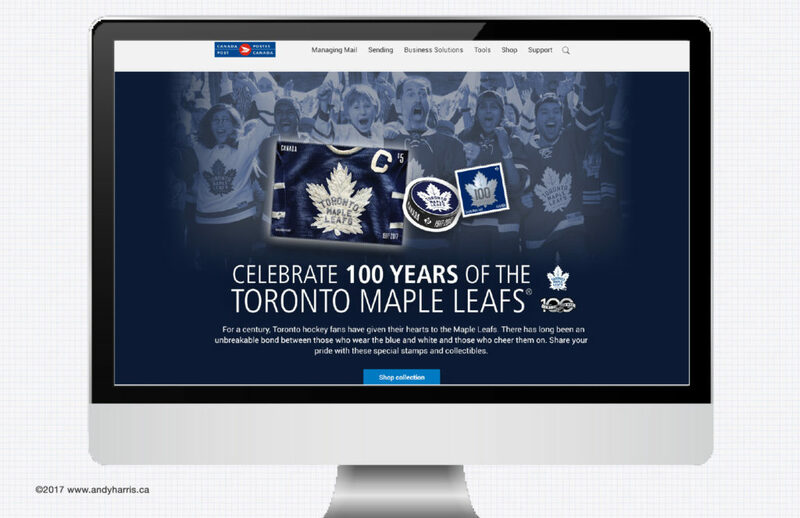 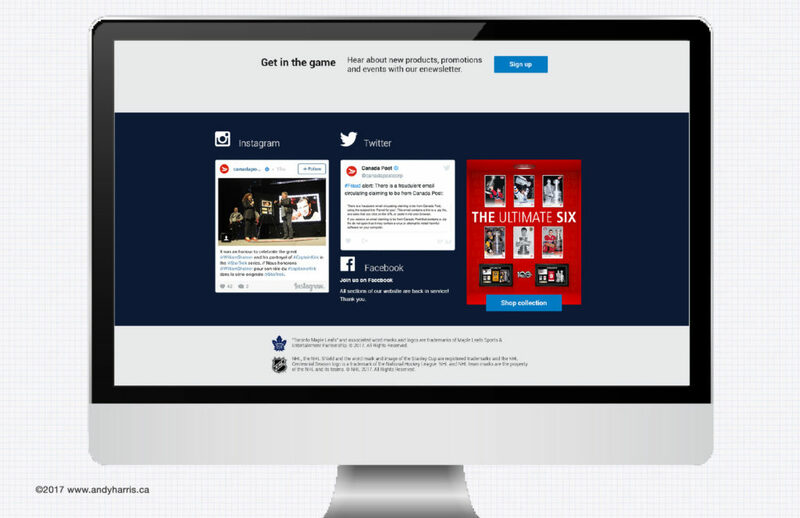 This was my first full project executed with the Canada Post partnership with the NHL. 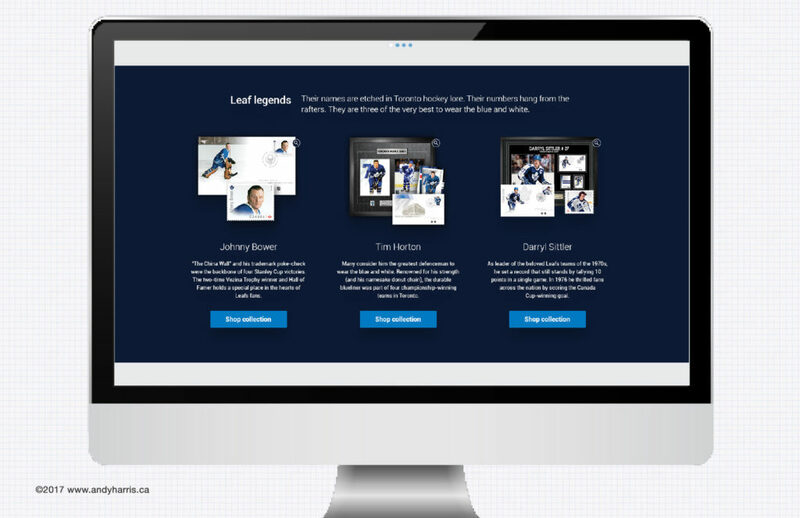 We were featuring six players that we considered Great Canadian Forwards. 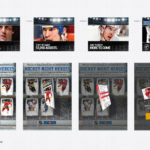 We played with some concepts that involved a museum/hall of fame aesthetic, but ultimately settled on showcasing the players and products on hallowed ground— the rink. 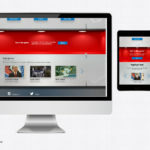 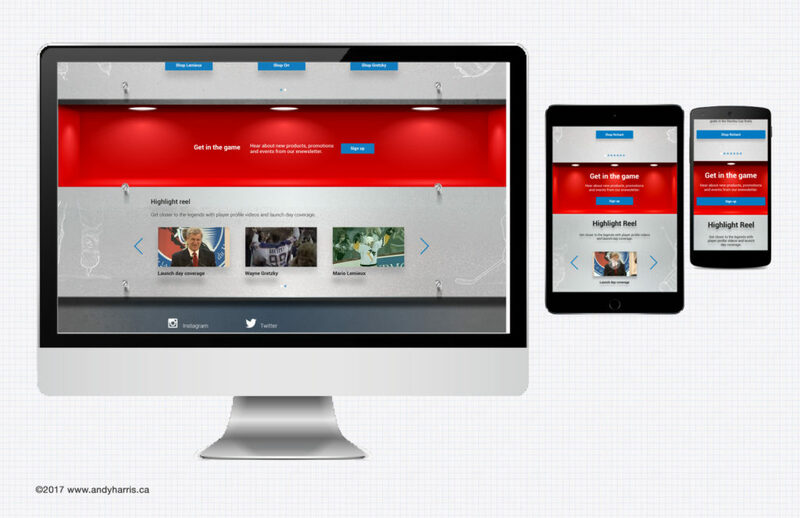 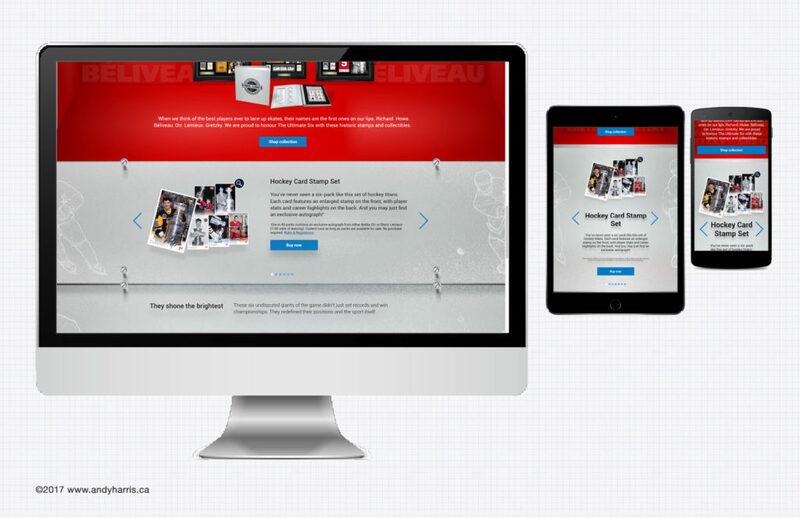 The microsite was designed to be responsive in order to accommodate desktop, phones and tablets. 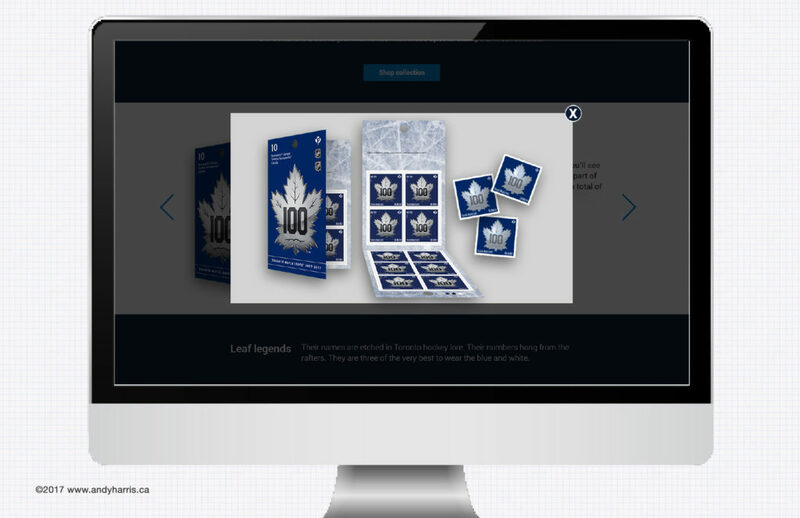 This series of collectible stamps act as a love letter to the players we consider The Ultimate Six in NHL history. 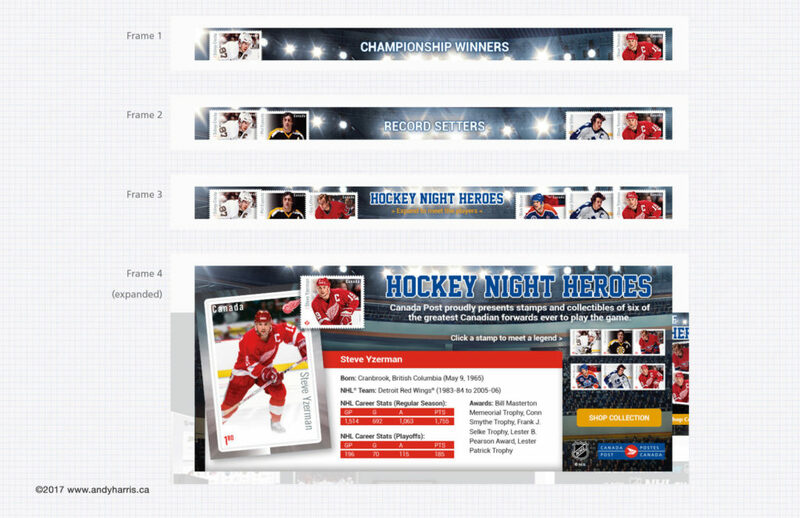 To give these players the Hockey Hall of Fame treatment, I designed a page that mimicked a trophy case in an arena. 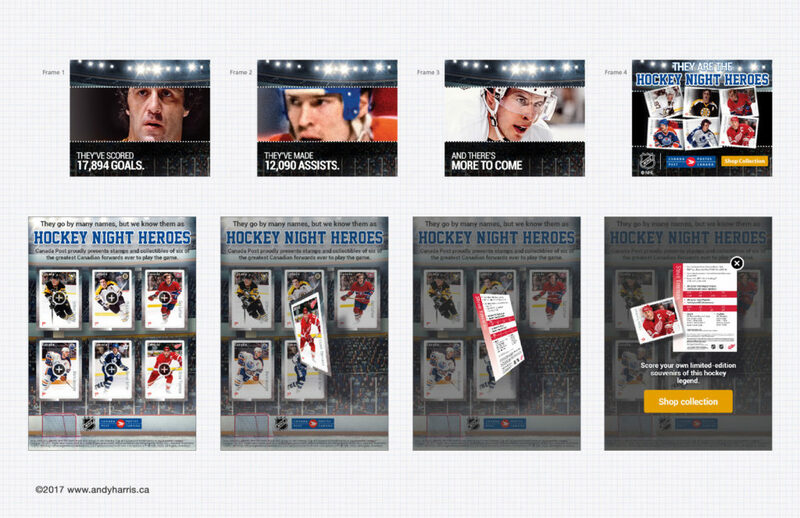 Velvet lined inlets, lit by recessed lights, showcase the players and the hero products. 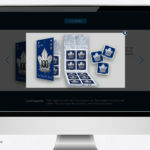 Below the header, the section modules are separated visually using frosted glass with laser-etched hockey graphics, mounted above the concrete wall our trophy case is built into. 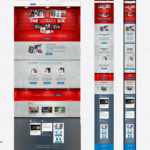 I designed the site to be reactive when developed. 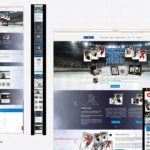 Once the window resizes to a certain width, the layout switches to the mobile/tablet layout, scaling appropriately according to whatever screen it was on. 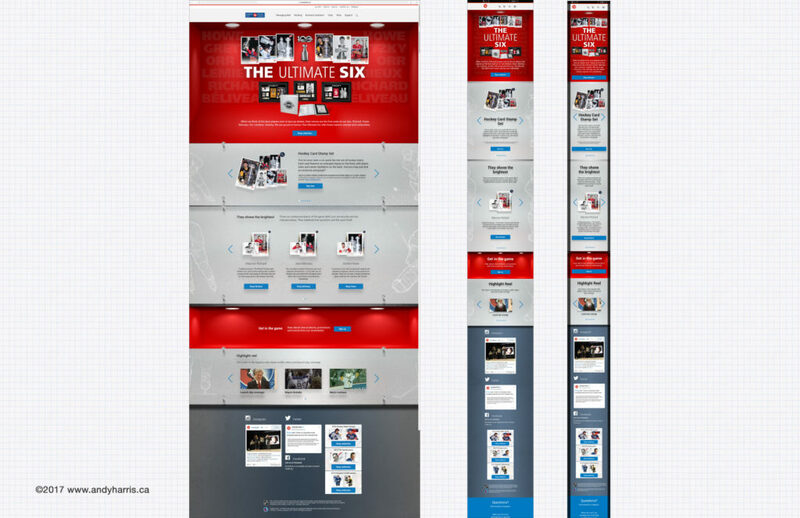 Product images and module layouts changed from a horizontal layout to a vertical one. 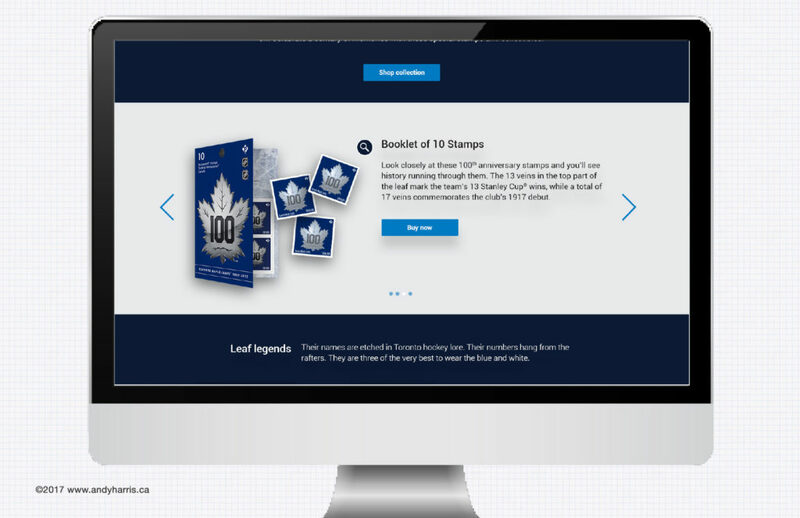 This Leafs-centric line of stamps needed a showcase microsite that communicated the passion Leafs fans feel straight up front before moving onto product presentation. 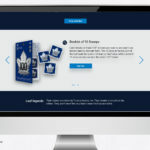 On a short timeline, faced with a lack of provided assets, the team convinced as many employees/fans as possible to show up to work with their Leafs’ Jerseys. 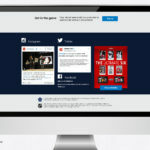 We did a quick photoshoot outdoors and ended up with a fantastic range of photos to choose from to visually sell all the emotions.